‘1TEAM’s debut concept photo has been released. The concept photo of Jung Hoon has been released. The LiveWorks Company is raising expectations for their debut by releasing "1TEAM"'s trendy modern concept photo and "Casual Hello Party Concept Photo" on their official SNS on 18th. 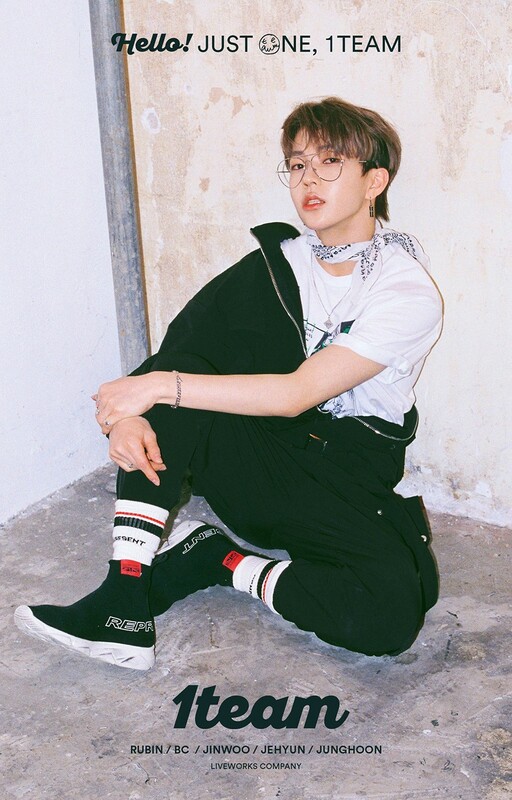 In the open concept photo, Jung hoon created a cynical atmosphere with his cold eyes, and also has been attracting fans' attention by offering a gentle look and a glimpse of boyishness. Unlike his cute looks, Jung Hoon, the youngest of "1TEAM," is expected to draw attention by appealing to fans with his low- and medium-quality voice and excellent rap skills. "1TEAM" is a talented boy group consisting of Rubin and BC, who are recognized for their great performances in JTBC's "Mix Nine," as well as Jin woo and Je hyun, who have solid vocal skills, and Jung Hoon, who have excellent rap skills, which means "one member of each individual group will get together and become one new member." The agency of "1TEAM," LiveWorks Company is the agency of Shin Hye sung and Lee Min woo of Shinhwa and currently produces Shinhwa, the longest running idol group. ‘1TEAM’ will hold their debut showcase on March 27 at Olympic Park's K-Art Hall.